Will Run From Friday 26th August to Sunday 28th August 2011! In 3 Days Than Most Business Owners Do In 3 Years"
The Exponential Marketing Bootcamp is a rare opportunity to work with the The Exponential Growth Strategist, Dr Marc Dussault. Marc has re-constructed and re-designed this powerful, proven and guaranteed program so you can get the absolute maximum benefit available. ...A hand-picked collection of reference materials you will receive as soon as you purchase a Gold Ticket or VIP Membership. coaching-program-in-a-box that will put money in your pocket from day 1! 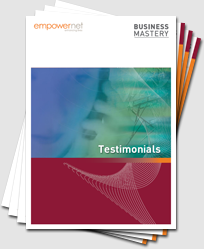 With your Business Mastery Momentum Membership in hand, you'll begin to grow your business, online sales channel or website sales well before you even step into the room at the Bootcamp!. These "No-B.S". grounding materials have, on their own, delivered hundreds of thousands of dollars of sales to hundreds of entrepreneurs just like you all around Australia, and the "self-paced" nature of the program means your results are only determined by how much you TAKE ACTION on all the tips, strategies and secrets you'll learn. 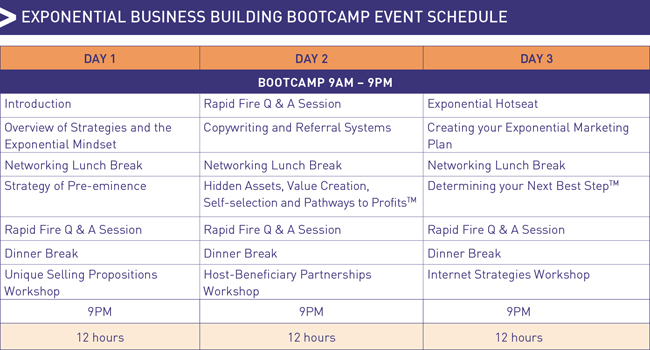 The re-designed, re-engineered and rebuilt Intensive 3-day Exponential Business Building Bootcamp. The New Program Has Been Extended By 12 Hours! This Bootcamp has been extended by an extra 12 hours devoted to workshops to make absolutely, positively sure you know exactly how to apply your newly-acquired skills, strategies and techniques IN YOUR BUSINESS. We will cover several strategies NEVER-BEFORE-REVEALED in Australia. Finally, the "Lightning Rounds" and Q&A sessions with Marc will be expanded significantly so you have more opportunities to get into the ‘Master’s Mindset’ and have YOUR specific questions answered right then and there! These new enhancements make this a MUST-ATTEND event for ANY offline or online entrepreneur who wants to get his or her business going and growing as quickly as possible. Learn the Strategy of Pre-Eminence, or how to be the first person that pops into your prospects' heads the moment they think about your product or service. Practical Marketing Metrics: Learn how to calculate the Lifetime Value, Marginal Net Worth and Allowable Cost Of Acquisition of a customer to explode your customer base WITHOUT increasing the proportion of sales you spend on marketing. Discover how to differentiate, reposition and distinguish your business, product or service to make PRICE virtually inconsequential - EVEN in competitive, cut-throat industries. You'll get the 135 proven best headlines / propositions to use - simply "adapt and adopt" to suit your business. Just When You Think Your Head Is About To Explode With Exponential Possibilities, We're Going To Kick Into Overdrive! Finally, you you'll create your own Personal Action Plan to go back into your business and take massive action to reap the financial and personal rewards. Marc will also perform a full-blown "Hot Seat", an on-stage experience he has become world renown for. Click here or on the image below to learn more about the hotseat experience. Everything you'll learn during these intensive 3 days is based on a process of training, layering, case studies, example-rich illustrations and hands-on interaction. Nothing is left to chance. You will spend time at your table learning and testing the theory and translating it to your working reality. Every two hours, you’ll change tables and start all over again with a new team of "MasterMinds" to help you craft your own set of ‘Ultimate Strategies’. On the last day, you will be able to calculate the specific, tangible improvements that this program represents to your business. Others will share their insights for explosive compounded learning. This is by far the highlight of the event. You’ll be blown away at the innovative, creative and out-of-the-box ideas people come up with – ideas you can ‘capture’ and make your own! If you are prepared to commit and take action, these 3 days are guaranteed to change your business forever. The 2011 event has been scaled down in quantity and scaled up in quality. Unlike previous years, there will be no ‘discount’ seats or 2-for-1 special deals. Every single person in the room will have paid for the privilege of being part of the experience. As a participant, you’re looking for that extra ‘edge’ to get in front AND STAY IN FRONT of the crowd. As an attendee, you’re looking to create at least $100,000 of new additional income to your personal or business bank account in the next 12 months. With the Exponential mindset, you know that acting strategically is MANY TIMES more powerful and financially rewarding that going for a quick one-time profit if it compromises long-term value and wealth creation. 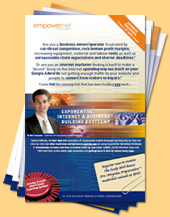 Join the legions of business owners and entrepreneurs who have turned the turbos on their business growth, all starting with the Exponential Marketing Bootcamp -- you won't regret it. The only thing you'll regret is if you DON'T find out more and your competitor is sitting in your seat at the Bootcamp. “I recommend this event to anyone who is: looking for valuable ideas/strategies that can be immediately implemented to turbo-charge their business bottom line; wants information on creating multiple streams of income; wants to network with like-minded people; and definitely for anyone stuck in the day-to-day grind and in need of some powerful inspiration!"